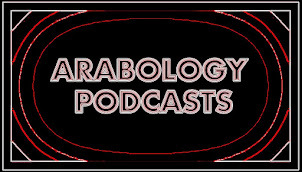 The tables are turned during the first part of Arabology this week when host Dr. Ramzi Salti is actually interviewed on his own show. Interview includes music from the Arab Spring and was conducted by Stanford student Samra Adeni of 'Avicenna'--The Stanford Journal on Muslim Affairs--on Feb 20, 2014. The show also features new, alternative Arabic music and spotlights from Mike Massy's upcoming performance at Stanford on March 11 and features an Arabic poem by Rodayna El Filali which is then translated into English by Ramzi Salti. Playlist for Arabology Thurs 20 February 2014 4-6 pm DJ: Ramzi S.
5. Gultrah Sound Sytem/ Elli tchelou/ Gultrah Sound System/ Ga7af prod! !